The couch is sacred ground for you and your pets. Whether you have a cat or a dog, the couch is where they will be spending a lot of their time. Most pet owners will either be spending a heck of a lot of time cleaning the couch, or simply accept having one that is covered in hair. Even if you are a super cleaner, and attack the couch nearly every day, strands can still linger. It is likely that two minutes after you clean, your little friend will come and create more for you to take care of. As well as this it is possible for hairs to penetrate some fabrics, be absorbed and then pulled out again later through movement and usage of the couch. Some coaches can be made from fabrics that prove an absolute nightmare when mixed with fur hairs. Thick fluffy fabrics or those with a less tight weave will absorb hair and seem to never let it go. The age of the animals can make a huge difference too. 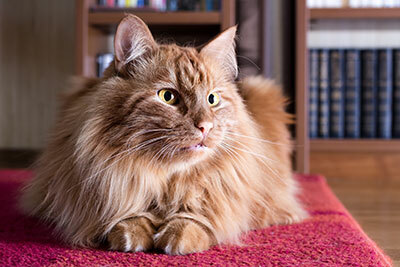 Older dogs and cats are the more likely to shed more fur over time. It can be possible for owners to own one type of couch while the animal is young, to then realize it's a not such a practical type as the pet grows older. You don't have to consider changing your couch or pet for newer models. Our professional hair removal service is designed to rid your lovely couch and chairs of any pet hairs while causing no further damage to them whatsoever.